← VIENNA UNDER SIEGE, 2014. Common Sense, the Crisis and the Rights of Man form a core library to the Declaration of Independence, the American Revolution and successful War of Independence. I have posted Common Sense as a separate article on this site. It is a long article for anyone’s website, but it reads quickly, particularly because of Paine’s exceptional clarity and style. As Ben Franklin suggested, Thomas Paine may well be the true father of his country. Exactly what Paine’s country was, may be problematical for some. When he’d finished his work in the colonies he sailed across the pond and contributed his visions to the French, even serving in their revolutionary government. Earlier, he’d tried disseminating his ideas in England, the land of his birth and was thrown out. Eventually, Paine returned to the United States of America, a phrase he is believed to have been the first to use in print, and died penniless. Though his books and pamphlets sold in the hundreds of thousands, he donated the proceeds to Washington’s army and to other causes. 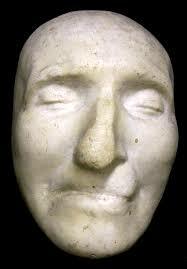 The story of his cadaver’s peripatetic journey is another wonderment in Paine’s amazing life. I believe Common Sense is no longer taught in schools. Was it ever? How ironic is this when his clarity and wisdom are so desperately needed today? I recommend three books about Thomas Paine. Thomas Paine, Enlightenment, Revolution and the birth of Modern Nations by Craig Nelson and Thomas Paine’s Rights of Man, a Biography by Christopher Hitchens. Also, Paine, Collected Writings,, Common Sense, The Crisis, Right of Man,The Age of Reason, pamphlets, Articles and Letters, The Library of America. me know if this is happening to them as well? This might be a problem with my browser because I’ve had this happen before.